For those of you who follow me on Instagram you would have probably seen a few posts over the last couple of weeks talking about learning a tap dance. This Friday was the performance and boy was it such a wonderful experience and fun evening! 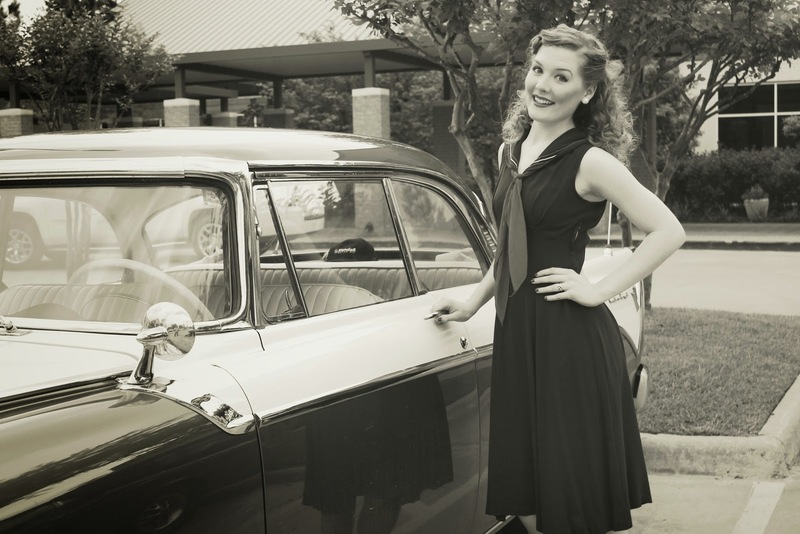 I was contacted over a month ago and asked if I would be interested in performing a dance to the Andrews Sisters hit song "Boogie Woogie Bugle Boy" during a style show for a vintage car club at their 62nd Annual Texas Tour. Of course I had to say yes, how could I not!!! The organization is a vintage car club (for people who have vintage cars of course) and each year they travel all over the state (in their fabulous cars) on "Texas Tours".... visiting country homes, antique shopping, and getting exclusive axcess to some pretty amazing car collections. I seriously want to own an old car right now just so I can travel with them:) However, while I do not own a vintage car (yet..hehe) I did find some dream cars!! Um, a pink Cadillac..."YES PLEASE!!!" (supposedly it was actually peach, but I cannot tell the difference) This has definitely always been my dream car!! 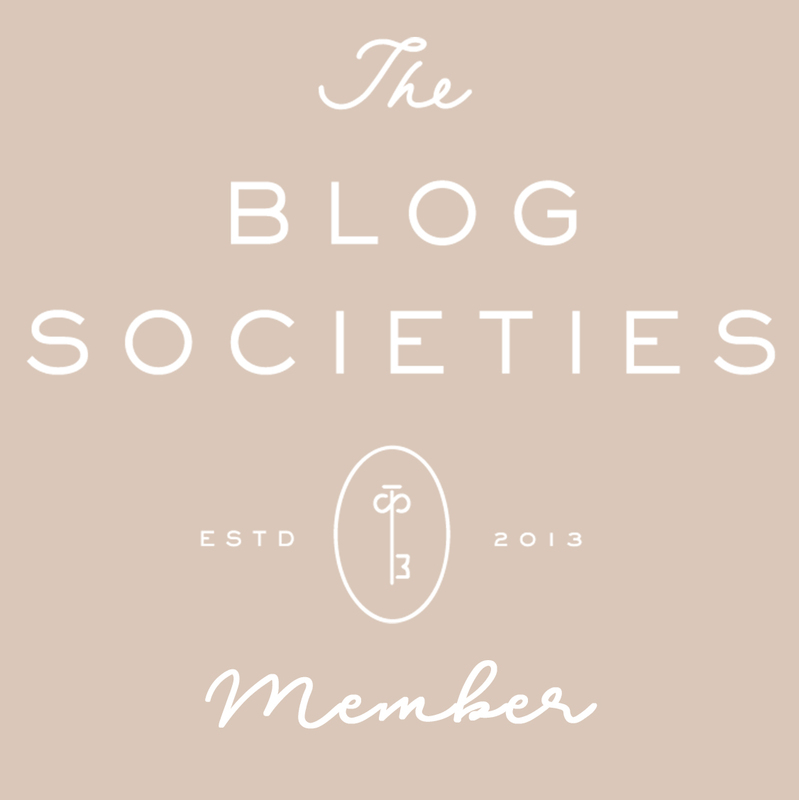 I was so honored to be a part of this event! To be surrounded by so many people seeking to keep history and the old days alive and running with their wonderful cars is definitely something to smile about. Like I stated above, my tap dance was part of the style show, which was pretty much a fashion show going from the early 1900's to 1980's. There were so many amazing dresses to inspire me, many of which were originals!! My two favorites were an original 1920's black lace and ruffle flapper dress and an original 1930's sunflower yellow cut on the bias evening gown (so spectacular). 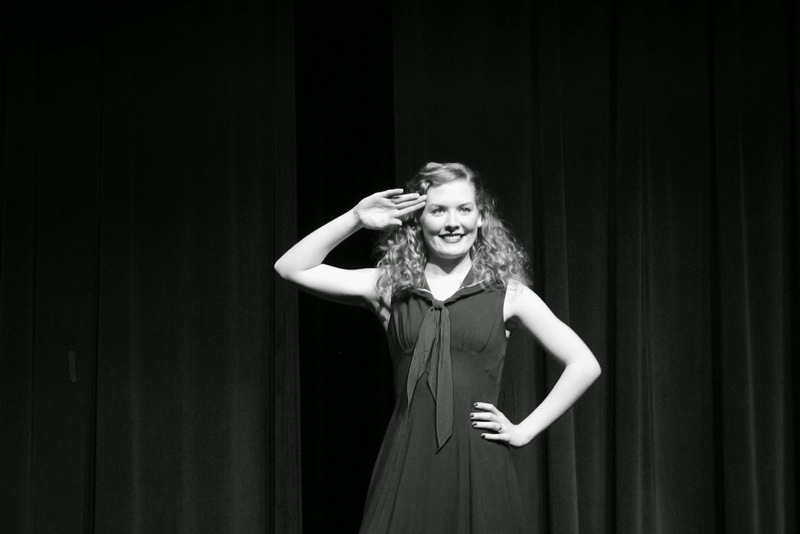 My tap dance came during the 1940's portion of the style show and boy did I feel like I had truly entered the 1940's, especially when I look at the picture above:) In the 1940's section of the show we also had a young many dressed in his grandfathers Navy uniform, a Peratruper, and wonderful 98 year old lady dressed as Rosie the Riviter (seriously the cutes Rosie EVER). 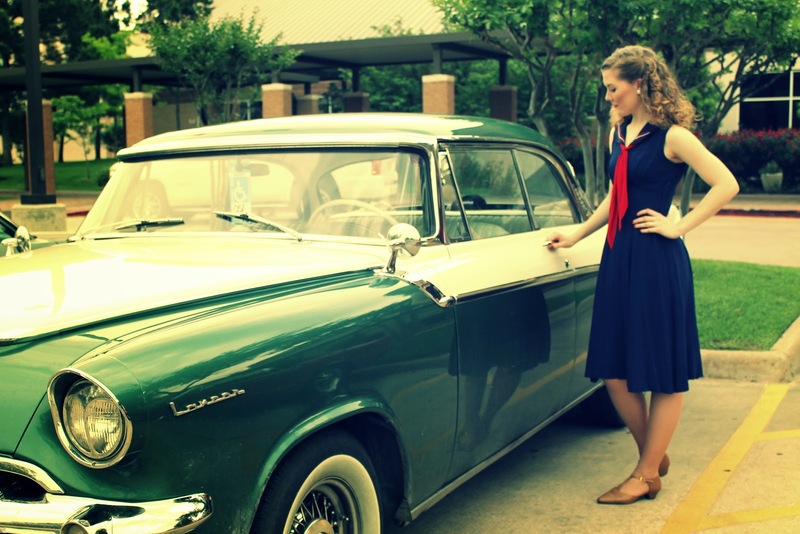 Do you have a dream vintage car? Have you ever tap danced? 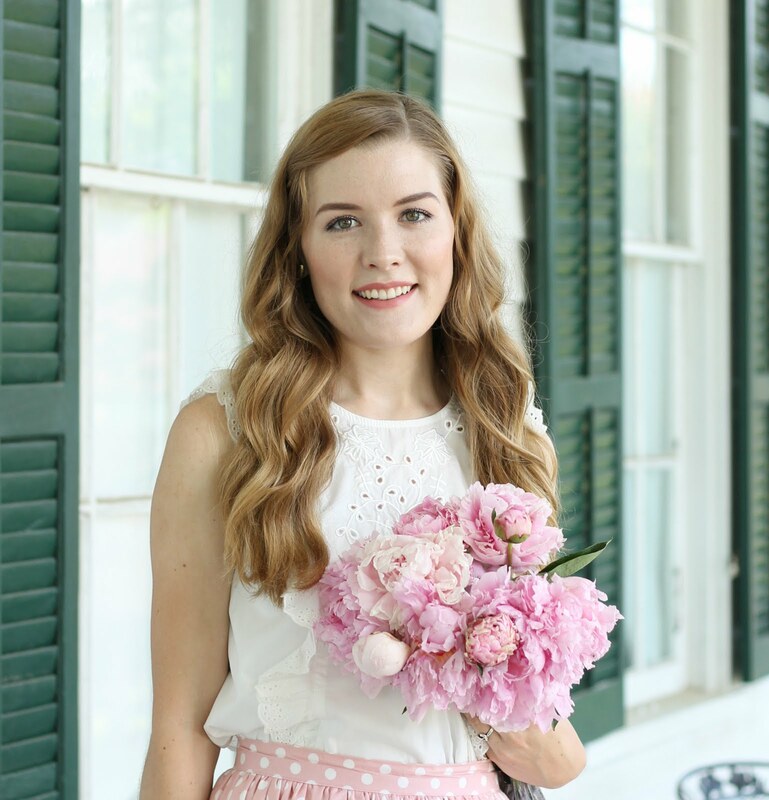 You're so flawlessly VINTAGE, Madison - I can't get over your clothing styles and hairstyles! :-) And that's so cool you're learning how to tapdance - it's a dream of mine to. Is it hard? Oh that sounds like SO MUCH FUN Madison! 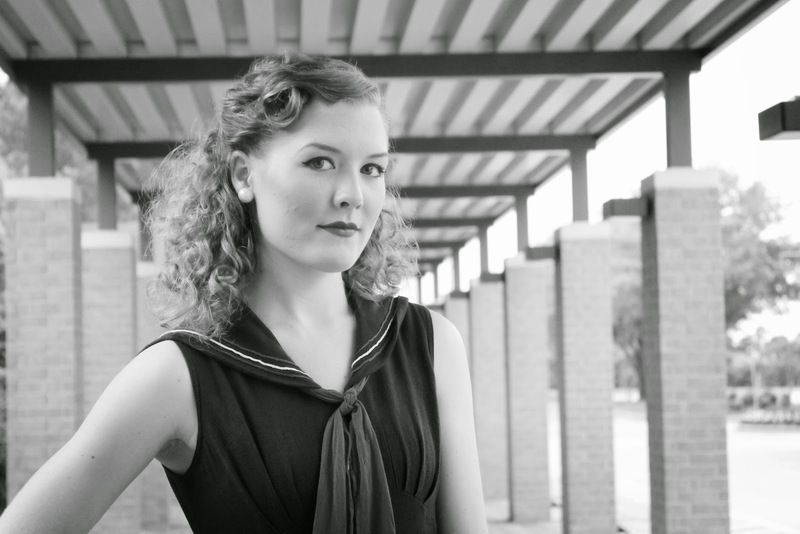 And how neat you were able to wear an original 1940s dress to play the part. :) Oh, and those cars are awesome! What a fun experience! That dress looks so adorable on you. I'm a big fan of sailor dresses; they're so cute! I know, nautical stuff is great!!! Nautical style is so fun! The engine generates power of about 4 to 7 hp. The engines can be anything between 100 cc, 125 cc and 250 cc. The larger capacity engines are generally not put in the cars for kids below 15 years.